These minnow style lures are manufactured to target Bass, Walleye, Redfish, and Speckled Trout, etc. 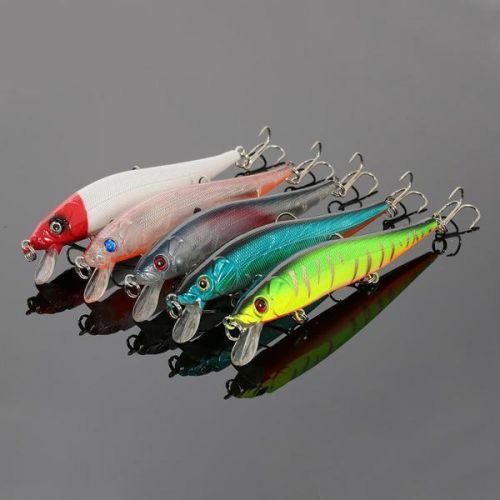 Unique lip, dual anti-corrosion hooks, stainless steel split ring and simulation fishing scale and metal balls inside make the products the best choice for fishing enthusiasts. Unique lip design and metal balls inside. Steady wiggle at high speed. Reflective scale patterns enhance visibility. 3D eyes and lifelike swimming action.